Tap Into the Powers of Chung Kwei to Be Protected from the Bad Effects of the Hungry Ghost Month | Sana Ako si Ricky Lee! 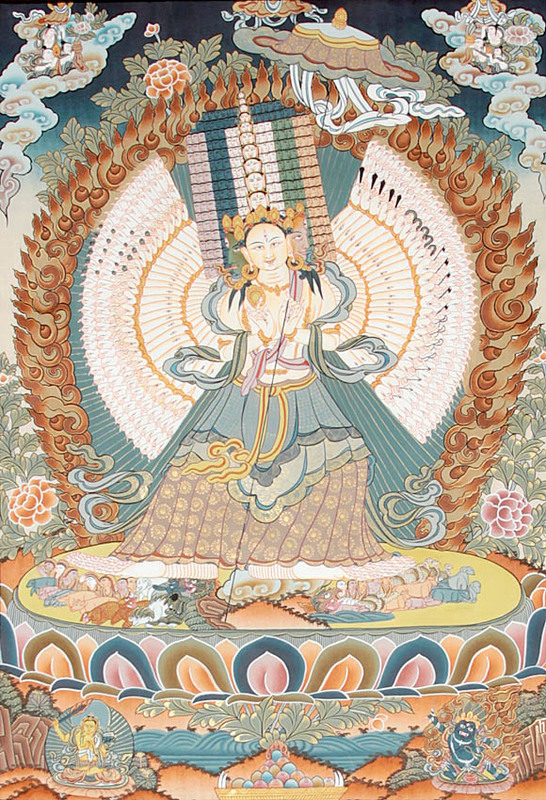 I just shared with you why Chung Kwei is considered as the ultimate protector from evil spirits, demons, and hungry ghosts, and their ill effects with the post entitled – THE FASCINATING STORY OF CHUNG KWEI, THE ULTIMATE CATCHER AND VANQUISHER OF DEMONS, GHOSTS, AND EVIL SPIRITS! Chung Kwei (also spelled as Chong Kwei, Chung Kui, Chong Kui, Zhong Kwei, Zhong Kui, Zhung Kwei, and Zhung Kui) is usually depicted as an extremely ugly deity. 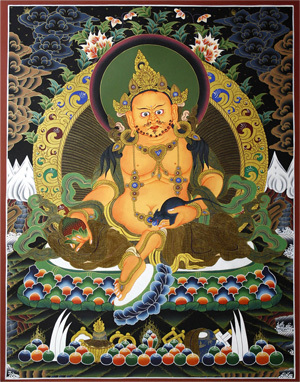 He can be considered as a wrathful god, which is usually how protector gods are depicted. His face is also usually really dark if not black, and he usually has beard. 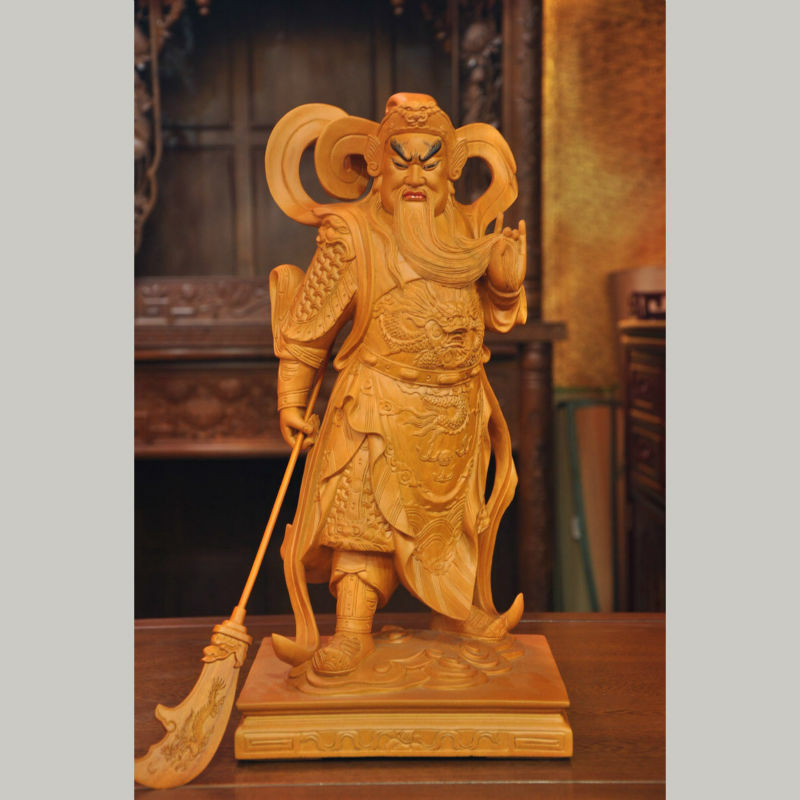 He carries a sword that he use for battling demons and evils spirits and a magical fan, which he uses to ward of hungry ghosts or ghosts. 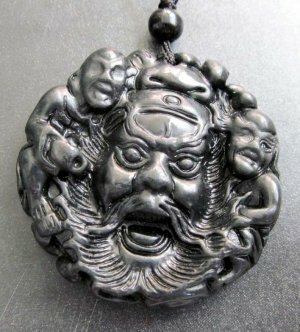 However, it is said that his face alone is enough to ward of any evil spirits that is why it is not surprising to see some pendants that simply features his face. Sometimes, he is featured with a red bat, which symbolizes that he is capable of bringing good fortune through scholarly approach. This is because he is a highly learned man when he was still living. Tapping into his power of protection is quite simple. All you need is to invite his image into your house. It is best to place him near the main door. However, if you can you can also put him by the stairs. Having his image in your office is also a good way into tapping into his protection for your office. It is also advisable to wear an image of Chung Kwei as a pendant. Wearing his image as a pendant will ensure your protection. 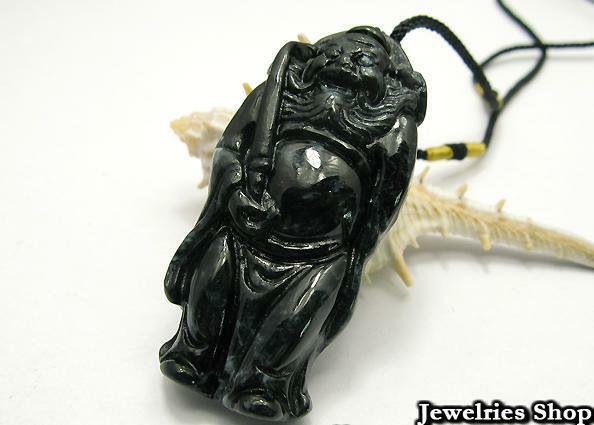 I always wear my Chung Kwei black jade pendant whenever I travel and I usually hang it beside my bed when I sleep, especially, if I suspect the hotel room where I’m staying is a Yin room. However, there are some guidelines when choosing your Chung Kwei. 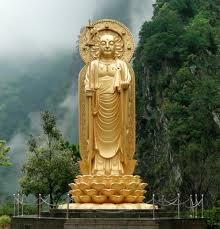 The image is made of wood, ceramic, porcelain, stone and never plastic or metal, unless it’s made of real gold. The image of Chung Kwei’s face should be red, black, or at the very least dark color. The image of Chung Kwei should have a fierce or angry looking face. The image should also have either all or one of his implements – sword and magical fan. This particular Chung Kwei pendant features only the face. Notice the 2 little devils besides him with fearful face, it represents the first devils that Zhong Kui vanquished! The Chung Kwei pendant (Zhong Kui Pendant) is made of a red stone or black stone (ink jade which is technically green is also acceptable) or real gold. These are the only acceptable material for a Chung Kwei pendant. If getting a gold, make sure that it’s made of either yellow or red gold and not white gold. Anything outside these three are unacceptable. 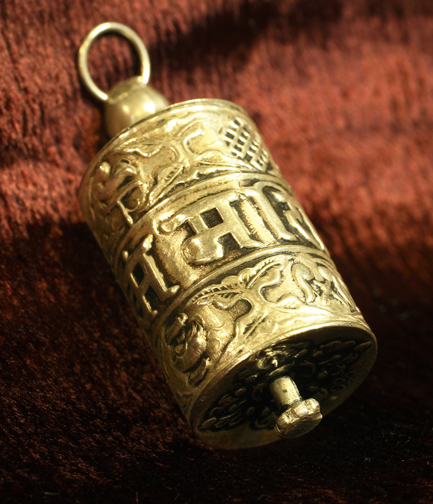 There are some Chung Kwei amulets available that are made of metal painted with gold. That’s not acceptable, plus it really has to be a pendant. It’s also very impolite to put the image of Chung Kwei in your pocket. 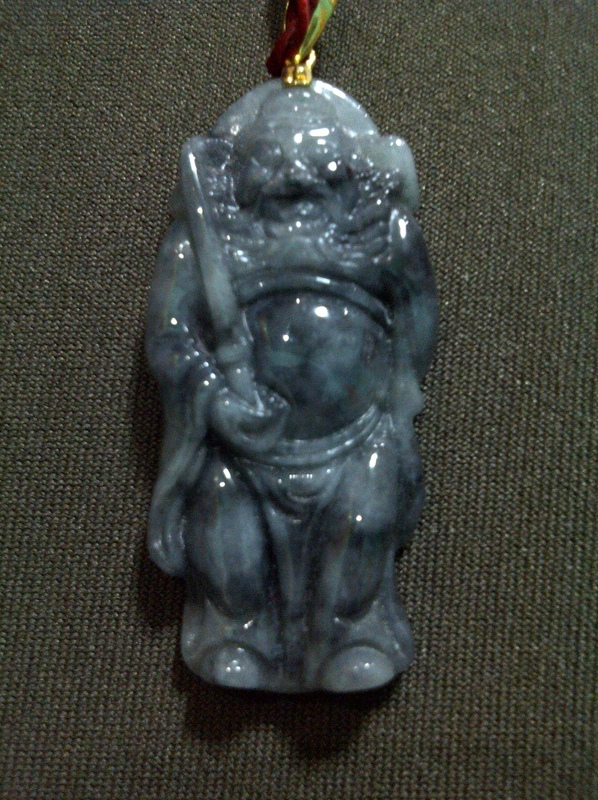 This is a sample of an ink jade pendant. It looks like it’s black, but if you put a light behind it it’s green tone will appear. This is acceptable. 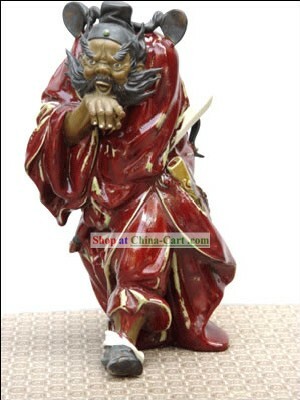 The Chung Kwei pendant should have a fierce and/or angry face. It’s fine to simply get a pendant that just features the face. The problem is it’s quite difficult to get an image of Chung Kwei either as a pendant or as statuette, unless, you’re from Malaysia and Singapore. 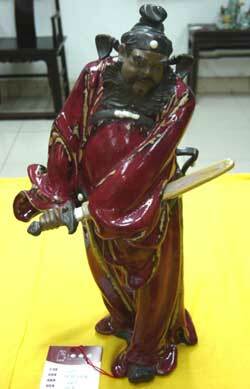 In the Philippines, I’ve only seen one or two stores in Chinatown in Binondo that sells good statuette of Chung Kwei. I now have only one piece of the statuette that I got in Singapore that I can dispose of. It is even harder to find a good Chung Kwei pendant, again, unless, you travel to Singapore, Malaysia, or Hong Kong. Before wearing or ‘displaying’ your Chung Kwei it is important that you have it bless by a Taoist priest. 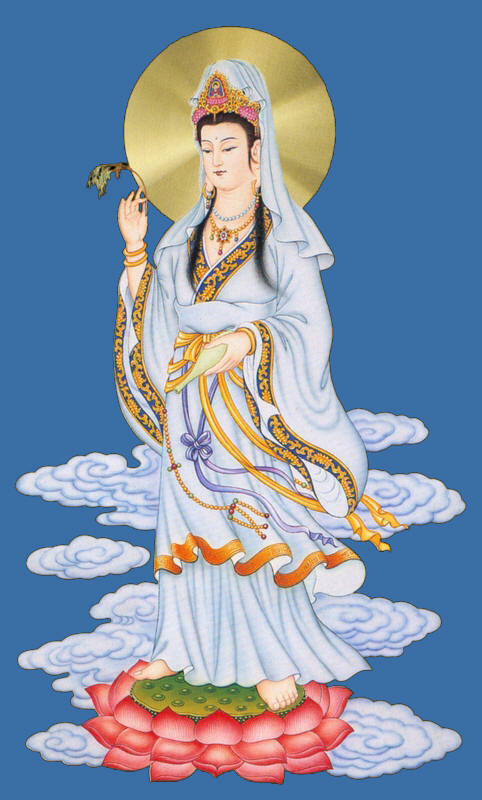 If a Taoist priest is not immediately available to you, or if the Taoist priest that you met is not familiar with Chung Kwei, you can bless your image yourself. Make sure that your Chung Kwei is really clean from any physical dirt. Place your Feng Shui on top of a bowl of rock salt or sea salt; adjust accordingly depending on the size of your Chung Kwei. For pendants cover it with a piece of red paper with your name and birthday on it. For statuettes, you can place the red paper on its base or foot. Write your complete address. Leave it there for 3 days. On the third day, light 3 candles in front o the Chung Kwei while it’s still on top of the rock salt or sea salt. Small candles will do, and make sure they are made of 3 different colors – red, black, and yellow or white. Burn the paper before 6PM. 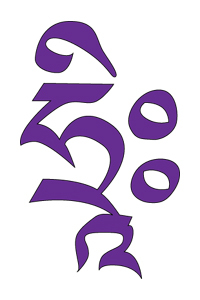 You can start wearing or displaying your Chung Kwei the following day.